Have you ever watched films like Lord of the Rings or a television series such as Game of Thrones or Vikings and thought “That sword fighting looks like such fun, I wish I could do something like that”.Well now’s your chance to be trained in medieval combat and be in the thick of a skirmish or even a full blown battle using specially constructed realistic looking high density foam swords, axes, maces, spears and shields that are typically used in Live Action Roleplay. The Riddle of Steel runs woodland Warrior Days in East Sussex, a weekly Children’s club in Plumpton Green near Lewes and a Battle event in Somerset called Cry Havoc. 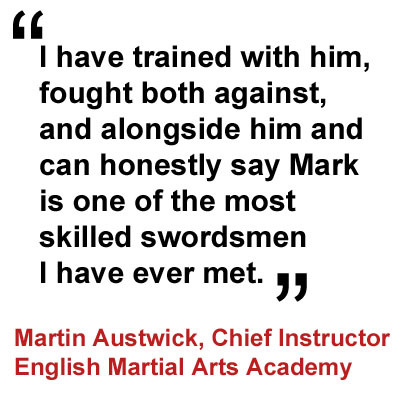 Mark Gilbert, the founder of the Riddle of Steel, can also be hired for Group training at your venue, one to one Tuition and Corporate team building events. Project management, event management, safe guarding, team building facilitation, qualified in first aid, wilderness skills Instructor, college course coordination, customer service, health and safety, job coaching and mentoring. Sport Fencing, Live Action Roleplay (LARP), SCA full contact stick fighting and Historical European Martial arts (HEMA). Riddle of Steel adult swordfighting club and childrens club. At LARP events including Summerfest, The Gathering, Avatar, Renewal, Dumnonni Chronicles, Odyssey and Empire, as well as at the National HEMA event Fightcamp. HEMA tournament results, first place 18 times, third place 3 times, semi-final 5 times. LARP tournament results, first place 58 times, second place 24 times, third place 2 times, semi-final 15 times. 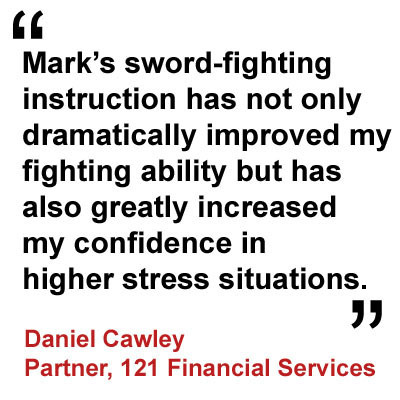 Mark loves fighting in tournaments, however his primary reason for continuing to sword fight is that it gives him the opportunity to teach others, to pass on the knowledge that he has learnt and to encourage others to take part in an activity that has had a huge positive impact on his confidence, social skills, fitness, mental resilience, team working, problem solving, adaptability and motivation. A motivation to guide others to fulfil their potential.